Over the past 12 months there have been a wide variety of eBooks published about every topic in the digital marketing mix from the newest mobile marketing strategies to better use of big data to the standards like content marketing, social media, online advertising, email marketing and digital public relations. As 2013 winds down, it can be really useful to review some of the better in-depth resources on best practices and thought leadership. This post will highlight 11 of the eBooks and reports that I’ve been involved with that I think you’ll find useful. As our content marketing business continues to grow, the body of resources and projects we get to work with is growing as well – why not share? The theme for most of these eBooks is decidedly “content marketing” with some social media mixed in, because how can content really ever achieve optimal reach and engagement without social media? For some of the eBooks I’ve pulled out excerpts of my contributions so you can read without having to download. Produced by the folks at Content 4 Demand, this B2B marketing focused eBook outlines the key challenges, presents important opportunities and where marketers should be prioritizing for the year. 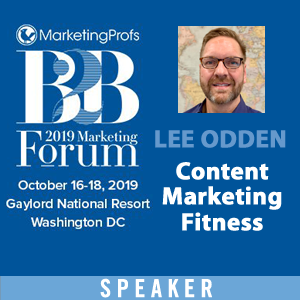 Contributions to this eBook come from an incredible list of B2B content marketing thought leaders including: Ardath Albee, Joe Chernov, Andrew Gaffney, Joe Pulizzi, Rob Yoegel and more. 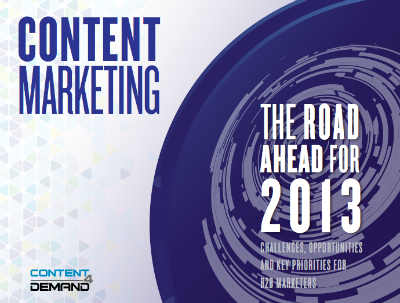 >> Get “Content Marketing: The Road Ahead for 2013” here. Linkdex has been experiencing an evolution over the past year with a focus on integrating search, content marketing and digital PR. This mad daddy eBook is the size of a proper print book covering all aspects of content marketing from an international cast of subject matter experts. I like the diversity of voices and perspectives in this eBook and it wins the prize in terms of depth of content. Subject matter experts contributing include: Ann Handley, Joe Pulizzi, Matt Roberts, Bas van den Beld, Melissa Rach, Rob Garner, Kevin Gibbons, Michael Brito, Robert Rose, Avinash Kaushik, Gerry McGovern, Simon Penson and many more. 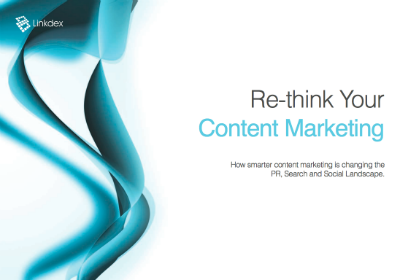 >> Get “Re-think Your Content Marketing” here. Sure social media has been on our marketing plates for several years now, but who wouldn’t want to know the future from social media smarties like Geoff Livingston, Philip Sheldrake, Anita Campbell, Ann Handley, Michael Brito, Rohit Bhargava, Shel Israel, Toby Bloomberg and more. This particular eBook was put together by TopRank for our client Dell and has had over 150,000 views on Slideshare and counting. Here’s an excerpt from my part of the predictions eBook: Can you share your best advice for a brand to connect with their audience on a one-on-one level? Eg. : create a real, lasting and meaningful connection. Do brands actually need to connect on a one to one level in a real, lasting and meaningful way to be successful? As a consumer, the idea of a real, lasting and meaningful connection with a box of soap kind of scares me. But I get where you’re going. 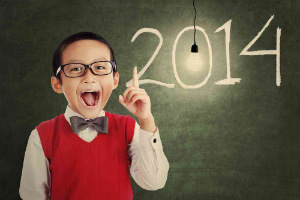 >> Get “2013 Social Media Predictions” here. 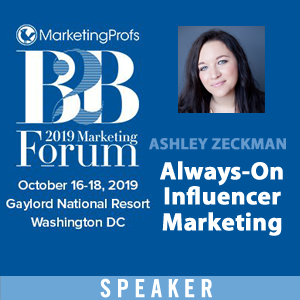 For the past two years TopRank has partnered with Content Marketing World conference to create a conference eBook featuring thought leader speakers. With the conference in Cleveland, the home of the Rock and Roll Hall of Fame, the theme for this year was a gimme. Practical content marketing tips for this eBook came from 36 top brand marketers and consultants ranging from Jonathan Mildenhall at Coca-Cola to Jay Baer, Sarah Skerik, Brian Clark, Heather Meza, Ann Handley, Adele Revella, Todd Wheatland, Tom Webster, Marcus Sheridan, Pam Didner and many more. With over 60,000 views on Slideshare this eBook has been cross posted to over 50 other websites. Here’s an excerpt of my contribution to this rock and roll masterpiece of an eBook: Turn it Up and Drive Fans Wild! Gone are the days for getting a hit just from radio play. And, so it is with content marketing “hits”. Modern music distribution channels extend to wherever consumers are eager to discovery, consume and share or buy. That lesson of understanding and proactively diversifying content distribution, formats and messaging across platforms is essential for content reach and engagement. What good is a great song if no one knows about it? Create great content and plan for amplification so your next hit will top the charts and drive fans wild. 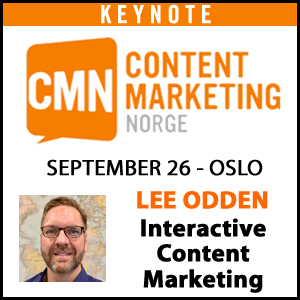 >> Get “36 Content Marketers Who Rock” here. Retail Touchpoints and LivePerson put together this eBook to give digital marketers some insights into how technology and consumer behaviors are evolving and how brands can expect to engage with digital savvy customers. Each of 10 thought leaders from Jason Goldberg of Razorfish, Jim Lenskold of the Lenskold Group, Larry Freed of ForeSee, Andrew Boyd of Harte-Hanks and several others provided their predictions into future of digital engagement for the coming year and beyond. Extending Conversations from Search Engines: How will search evolve in 2014? >> Get “The Future of Digital Engagement” here. My friend Rebecca Lieb, who is the author of “Content Marketing: Think Like A Publisher” and several of her associates from Altimeter Group conducted interviews with 78 corporate practitioners, content service providers, and domain experts in the field of content marketing to produce this very insightful report. From strategy to staffing, technology, measurement, and training, this report explores scalable organizational models for addressing content needs across the enterprise and makes recommendations for a holistic program. >> Get “Organizing for Content” here. Content Marketing and influencers go together like the ingredients in your favorite dish and ironically, eBooks are one of the more successful formats for this combination. Evy Wilkins is the VP of Marketing at Traackr, an influencer marketing platform, interviewed multiple content marketing and influencer marketing professionals to produce this excellent guide on the value of relationships and content to drive business results. As a vehicle for influence, contents one of the most powerful tools in a marketer’s mix to attract, engage and inspire action. Content is the currency for building relationships that can boost credibility, influence and commerce. Investing in a content and influencer marketing strategy can be one of the most impactful actions a business can make. Incorporating influencers that can also inspire relevant action with your content marketing efforts facilitates reaching new audiences with brand messages that are credible and trusted. >> Get the “Ultimate Guide to Content Marketing & Influencer Strategy” here. I don’t know who said it first, but there’s an expression in B2B Marketing, “The B’s in B2B are people too.” Marketo adeptly understands this and while they produce a plethora of serious business content for their community and customers, they’re also insightful about the need for some fun. This eBook is a brilliant piece of work by Jason Miller with collaboration from Maria Pergolino that includes fun, marketing themed activities as well as industry thought leaders. From match the author with the book to crossword puzzles, this eBook serves as a fun departure from the business of marketing automation software. 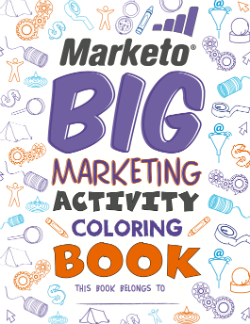 Get the “Marketo Big Marketing Activity Coloring Book” here. Marketers on the early end of the content marketing maturity model realize they need to employ a robust content marketing strategy but often need reassurance of where to start. The folks at Skyword, a content marketing platform, has a 7 step approach to do just that. To support their model, Skyword interviewed multiple content marketing practitioners and thought leaders such as Dave Kerpen, Ekatarina Walter, Doug Haslam, Brian Clark, Erik Qualman, C.C. Chapman, Joe Pulizzi, Connie Bensen and several others to gain insight for the formulation of the model and the report. >> Get “How To Kick Start Your Content Marketing” here. While some would argue that presentations are not content marketing, I would disagree. The actual giving of the presentation is an experience often captured by livebloggers and on video, which is later published online. The presentation itself may be posted to Slideshare and deconstructed into component parts like a series of blog posts or an eBook. In this eBook, which is a complement to a webinar, Dan conducted a survey to explore how presentations motivate people to share. 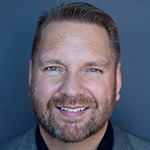 He also connected with multiple experienced public speakers like Jason Falls, Chris Brogan, Laura Fitton, Seth Godin, Nancy Duarte, Guy Kawasaki, Brett Tabke and a few more to surface some really insightful ways you can optimize the performance and reach of your presentations. There are 3 pieces to getting audiences talking about your presen- tation on the social web. 1. Promote the presentation with a blog post be- fore the event on the social channels where you’re active, whether it’s Linke- ?dIn, Facebook, Twitter, Forum or Blog. 2. Include compelling and provocative quotes (Tweet friendly) in your presentation. 3. Show your Twitter handle and a hashtag clear- ly on the slides in your presentation. >> Get “The Science of Presentations” here. Traacker was busy with eBooks this year and finished things off with The Engagers, which is based on an interview series with 16 marketers, public relations professionals, community managers and digital strategists including Danny Brown, Sam Fiorella, Dierdre Breakenridge, Shonali Burke, Amy Higgins from Concur (a TopRank client), Jason Miller from LinkedIn (also a TopRank client) and several more that are experts at creating and maintaining relationships with online influencers in a way the creates business impact. Here’s an excerpt from my interview: As an influencer in online marketing yourself, what is the most creative request you’ve ever received from a marketer? The most creative thing I think someone has done is really a tie. First, chocolate covered crickets from Grasshopper, a virtual phone system got my attention. Another effort came from Darren Barefoot and Julie Szabo who created a custom video pitch as well as hand written letter promoting their Social Media Marketing eBook, which we then wrote about on our blog. I think the takeaway is that no matter how creative you are, the creativity is not a substitute for the relevance of your message. The message still needs to deliver. That same lesson applies to online or content marketing. A combination of creativity and incredibly useful content is needed for the win. Clever graphics or useful tips alone are no longer enough. >> Get “The Engagers” here. As you can tell, I’m a fan of creatively repurposing content and I hope you find these eBooks a useful and a source of inspiration for your approach to content marketing in 2014. Another resource worth checking out is Optimize (of course) which is as much about content planning, marketing and measurement as it is about social media and SEO. What are some of the digital marketing eBooks that made your “favorites” list this year? Thanks Lee! I appreciate you configuring this list, which will keep me and our content marketing team engaged well into the new year. Seeing this compilations reinforces my belief in the value of longer form content as part of an effective content marketing strategy. What role do you see long form content like eBooks and Whitepapers playing in 2014? Will these resources experience a Renaissance or will marketers invest to appease the rapidly diminishing attention span of their prospective customers? I appreciate that Steve, thanks. Long form content has a role to play as does short form, micro-content, images, video, interactive and even print. We call the bigger pieces “anchor” content which serve as a hub and surround them with shorter, diverse content formats. Great list you put together Lee. Looks like I have some reading to do. I’m definitely adding this to my WordPress Weekly post this Friday. Lee, thanks man, not only is this a monster list of awesome ebooks, the bigger take-away is how well you and TopRank “walk the walk” when it comes to producing a mix of QUALITY original and curated content on a frequent basis. “The Ultimate Guide to Content Marketing & Influencer Strategy” looks particularly interesting and timely. Thanks! I appreciate that Aaron – we try our best to do just that. Thanks for doing the research and reading, so I can focus on just the books I need for my business. This is definitely my books bucket list for the next year. ) Thanks! I have read The Ultimate Guide to Content Marketing & Influencer Strategy eBook and it’s a great read. Very informative and well worth the time to download and read. Good stuff! It will be interesting to see where the content marketing industry goes in the next few years. It seems like it has grown by leaps and bounds in just the short time it has been here. Create new content and channelize it through social media and blogs. Proper content promotion can lead you get more clicks and business may be.